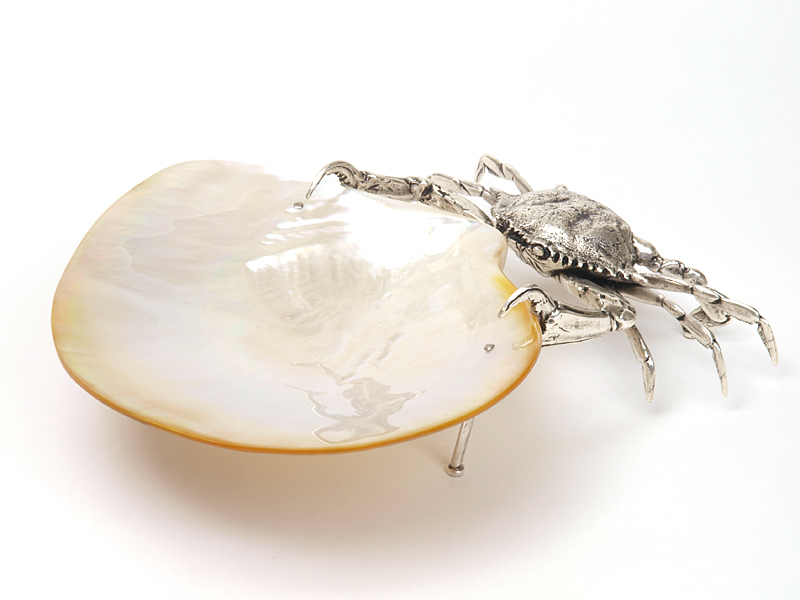 Flat crab holding a mother of pearl plate. 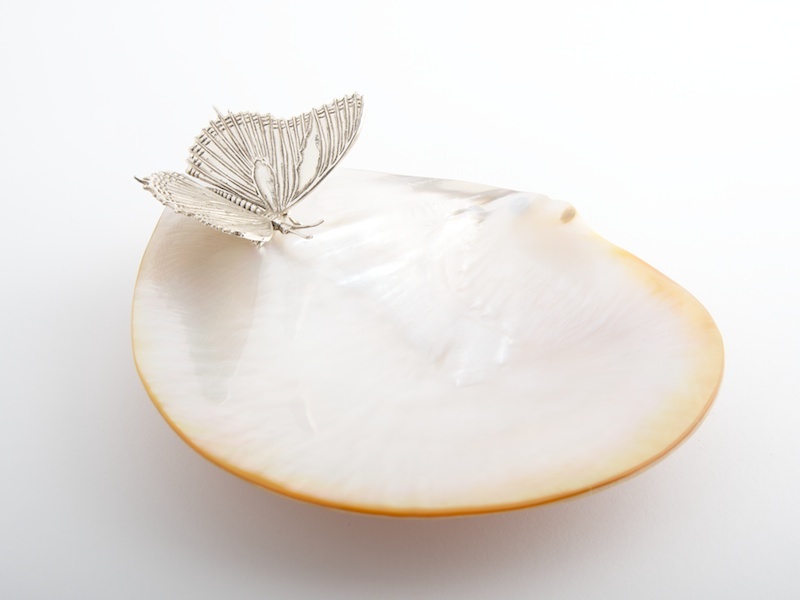 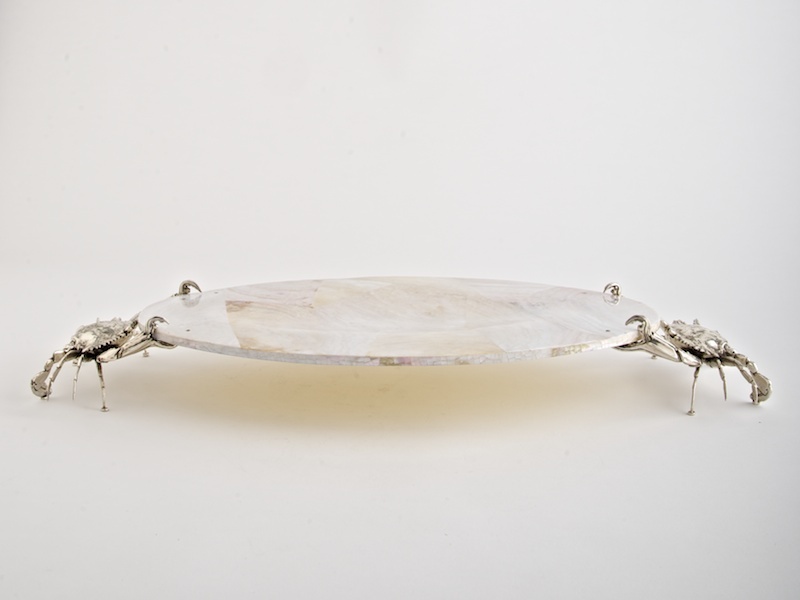 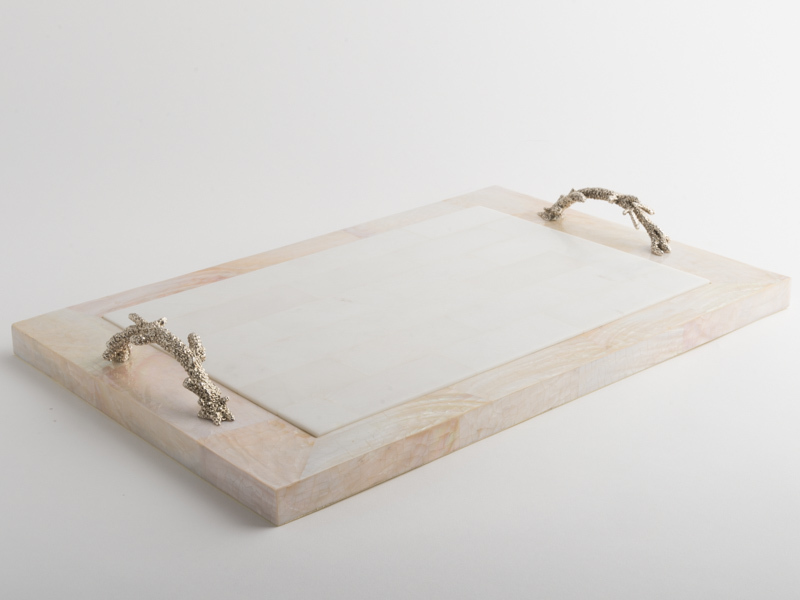 Unique handmade Mother of Pearl Silver Hermes crab plate. 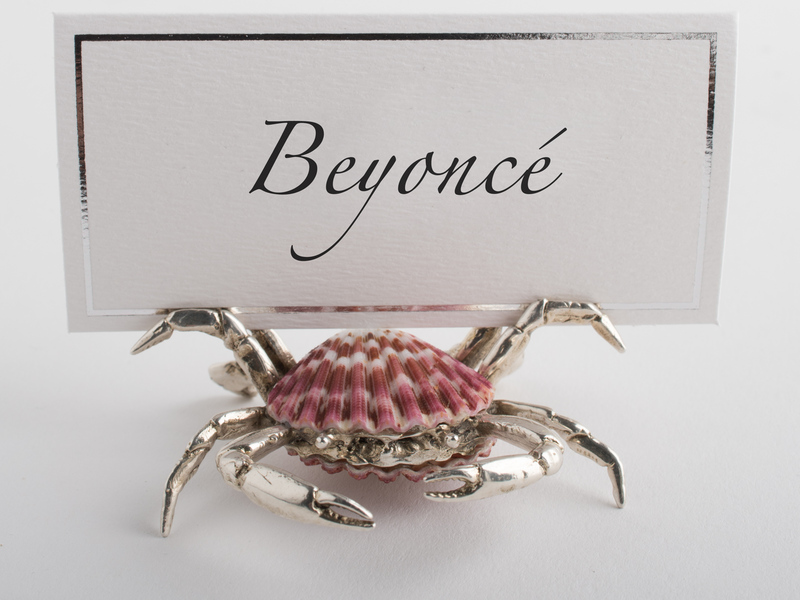 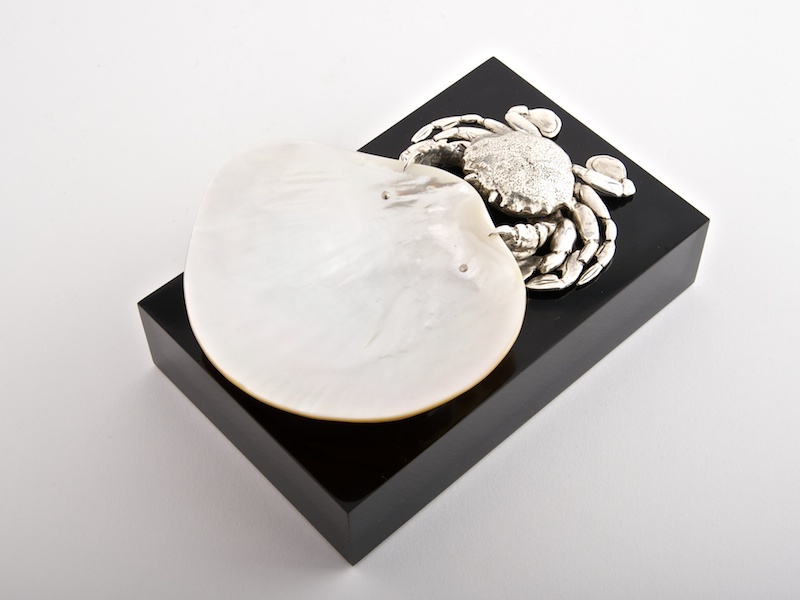 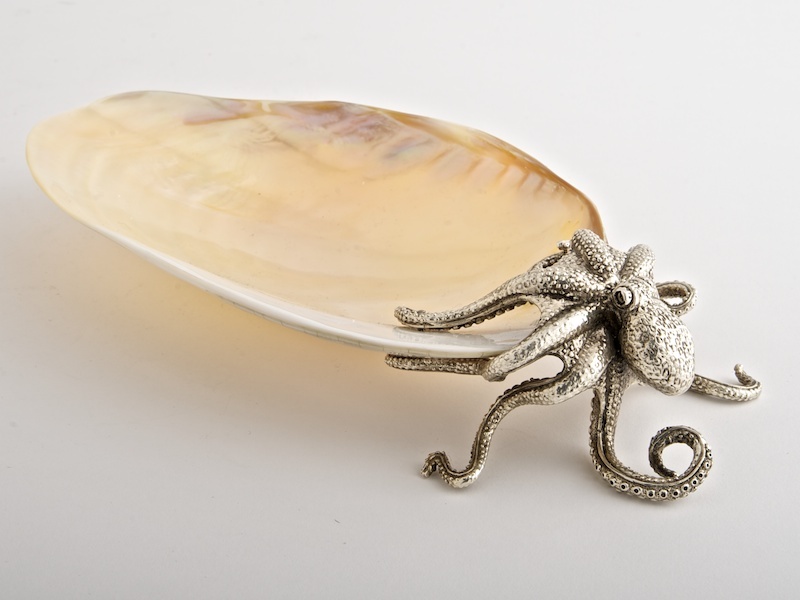 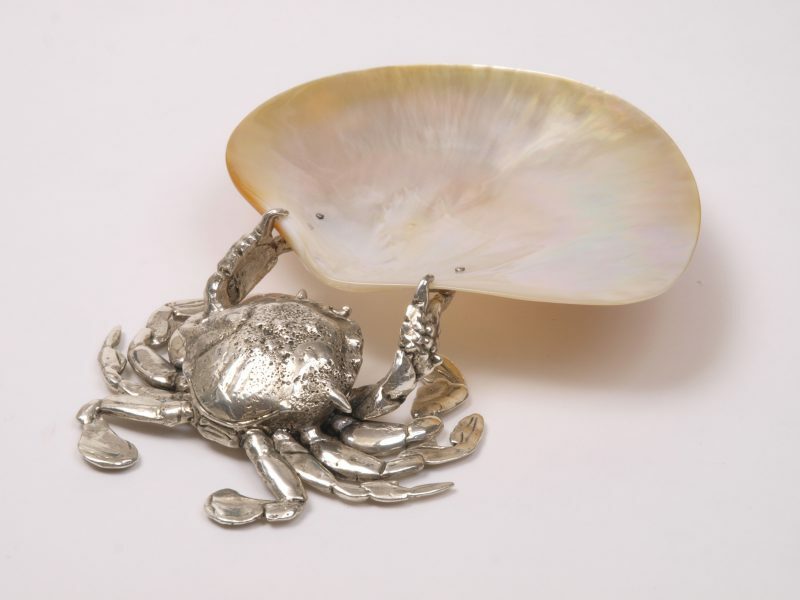 Sculpted then cast in brass and heavily silver plated, the crab is then fitted to an exotic, highly polished mother of pearl shell with silvered ball feet.